$929.48+ "Back To The Future" Mini-ITX Build. 8 gigs of vram is more than I'll ever need right now. Runs every game I have at ultra 1080p60+. 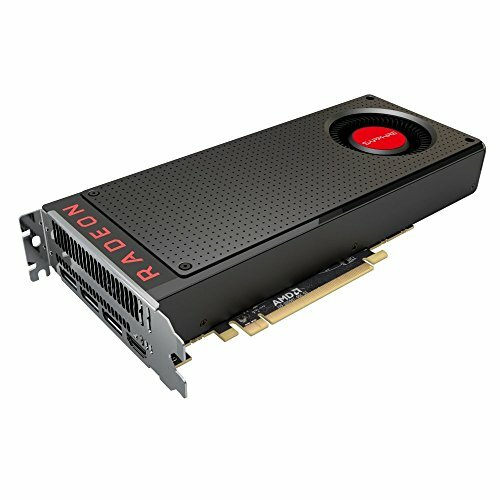 The reviews are to be believed - this card is a beast. 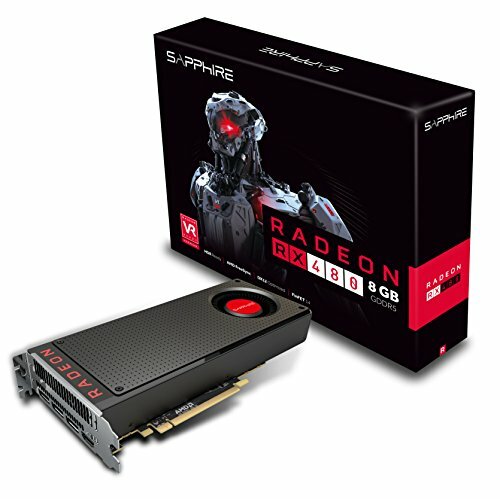 AMD has long reigned in the mid-range GPU sector and the 480 is just another reason why. Handles damn near every game I currently own at 1080p/60fps/Ultra. Doesn't get too hot as AMD is getting better about their temperatures, however this is a Mini-ITX case so temperatures are hotter than most benchmarks out there since all the parts are crammed together. The blower style cooler is great for this case as it spits all of its hot air straight out the back rather than having fans simply push the hot air around the case. What a beauty! My first graphics card. Keeps my ITX build cool with blower style and it isn't noisy at all. Runs games really well. ROTR at 40 FPS in DX12, DOOM at 100 FPS in Vulkan, all settings maxed out in 2560 x 1080 ultrawide resolution! I got the Sapphire version mid-July, it was an open box deal at Microcenter. I couldn't order it online for in-store pickup so I had to drive an hour or so to get there when it opened. I saw some other dude eyeing it but was able to find a sales rep to open the case for me first. For the next few weeks, stock was pretty limited. It took until now (mid-Sept) to find another open box deal but I was able to order this one online and take my sweet time driving down to get it. After the Pascalaris dropped, I was planning to SLI one of my Nvidia setups, either the 980 or the 780Ti, but sub-$200 8GB 480s (pre-tax) are just too good to pass up. Brilliant performance, able to run any game at 1080p on ultra settings, playing Far Cry 4, Shadow of Mordor at present. 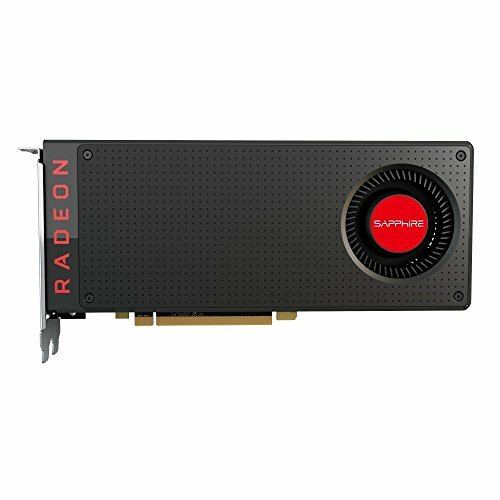 This card is capable of 1440p gaming with no problems. Only downside is being a reference design it does run a little hot and noisy. Temp running 70-80C. I am planning to add third-party cooler later on, either liquid cooler or air/heat sync. 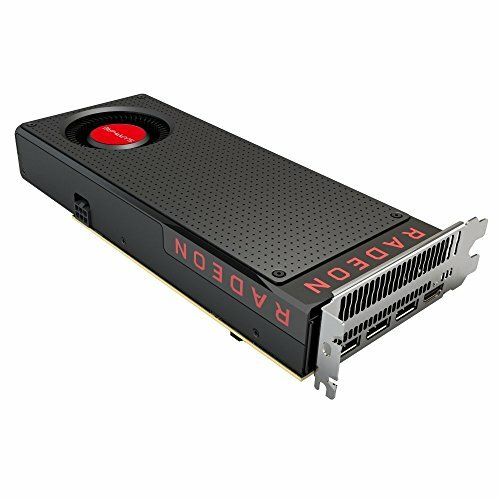 GPU – AMD rx480: Had it already and I don't want to upgrade before I can have something better enough for the money. Also I don't want to use high end graphics because with my gaming amounts it just ain't worth of it. This works well for the price, but reference design is somewhat loud.